There are so many myths and tropes about genetically modified (GMO) foods, much like the vaccine world, it’s sometimes difficult to find out what is based in science, and what is not. Thus, I thought it would be the time to examine the crop modification techniques for GMO vs non-GMO foods. Not to give away the conclusions early on, but all crops that end up being our food sources are genetically engineered. And have been for 10,000 years, since the dawn of human agriculture. If we hadn’t been genetically engineering our foods from day 1, we’d be eating corn that provided little nutritional value. Take a look at the evolution of corn from the wild ancestor, teosinte, to the delicious cobs of corn we eat during a summer BBQ – it’s closely tied to human advances in genetic engineering of food crops over the past 10,000 years. Teosinte is barely edible, and the amount of nutrition per plant pales compared to modern corn. If you want corn that’s never been genetic engineered, then you’ll have to travel through some wild fields in Mexico to find yourself some teosinte. Then harvest a small warehouse of it to feed yourself for a couple of days. 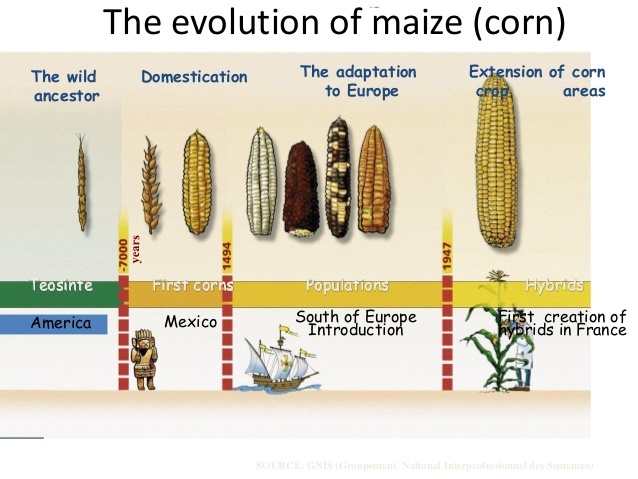 But 10,000 years of genetic modification, using a variety of techniques, gave us modern corn. GMO sugar vs natural sugar – can you tell the difference? Chemistry is important. 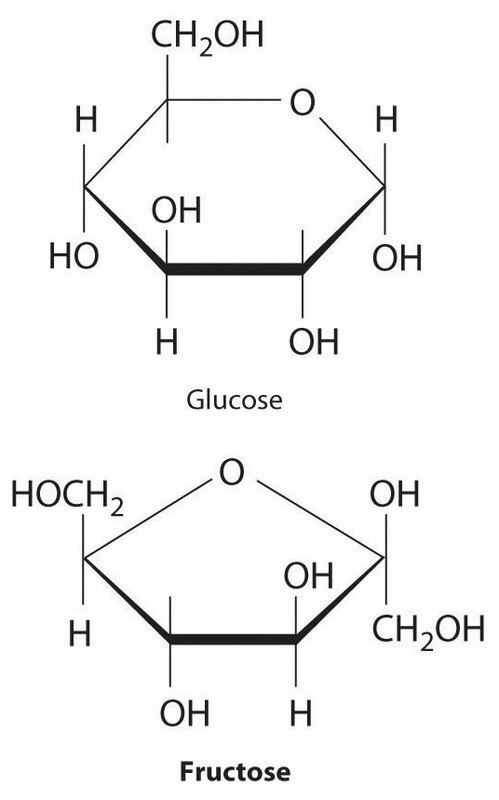 If you’re going to make negative claims about GMO sugar or high fructose corn syrup, we ought to be able to look at these different sugar molecules and confirm a difference between them. So let’s take a look at sugar from three different sources that capture our attention. Sorry, but there will be a quiz afterwards, so please pay attention. 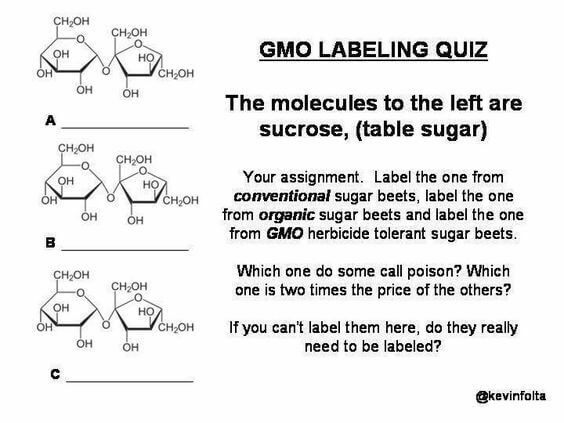 Editor’s note – this was ruthlessly and unapologetically stolen from a meme from Kevin Folta, who spends a lot of time dealing with GMOs. I hope he doesn’t mind. Jon Rappoport attacks GMOs and medicine – should we care? For faithful readers of this blog, you know I try to keep focus on a small field of science – vaccines, GMOs, alternative medicine, and whatever strikes my fancy. I get all excited when a couple of my interests intersect, like GMO vaccines. Then I read a blog post from some writer, Jon Rappoport, who started out with criticism of Donald Trump and what he might do with the FDA. That got me excited. Obviously, though, I don’t like either of the two candidates under consideration by the Trump transition team to become FDA Commissioner. Basically, you have to pick your poison: Do you want the libertarian who doesn’t think that the FDA should have to require the demonstration of efficacy before approving drugs or the bona-fide, honest-to-goodness pharma shill, someone who’s pharma shill to a level that most pharma shills only dream of? It’s basically Sophie’s choice. But Jon Rappoport quickly went off the rails by attacking the FDA and claiming GMOs are dangerous (and the FDA should regulate them). Here we go.